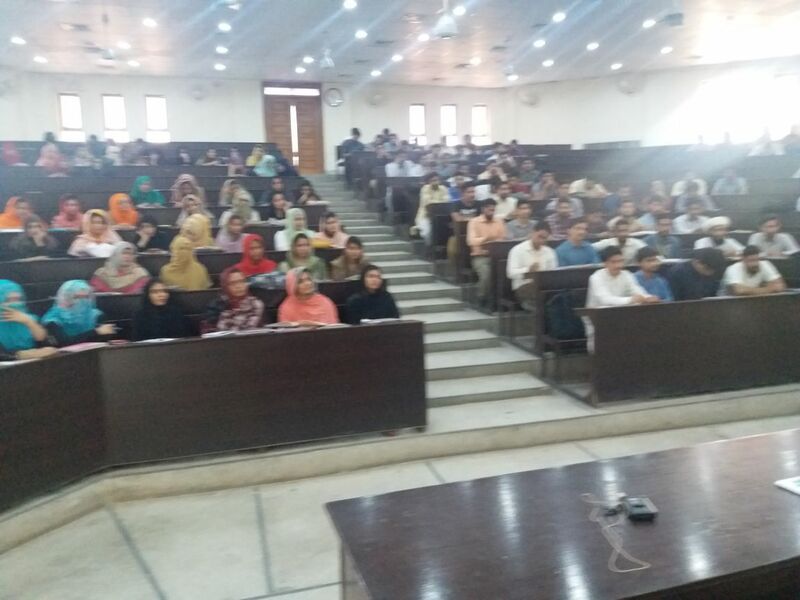 PIPFA Faisalabad Office conducted a Career Counseling Seminar at IBMS ( University of Agriculture Faisalabad) . 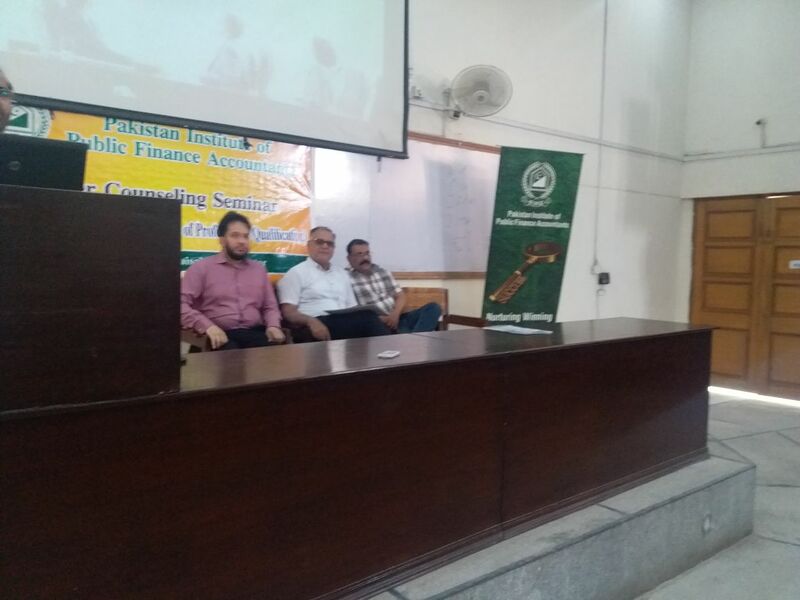 Mr. Umar Saeed, FPFA Convener FBC welcomed the respected IBMS Faculty & Students. 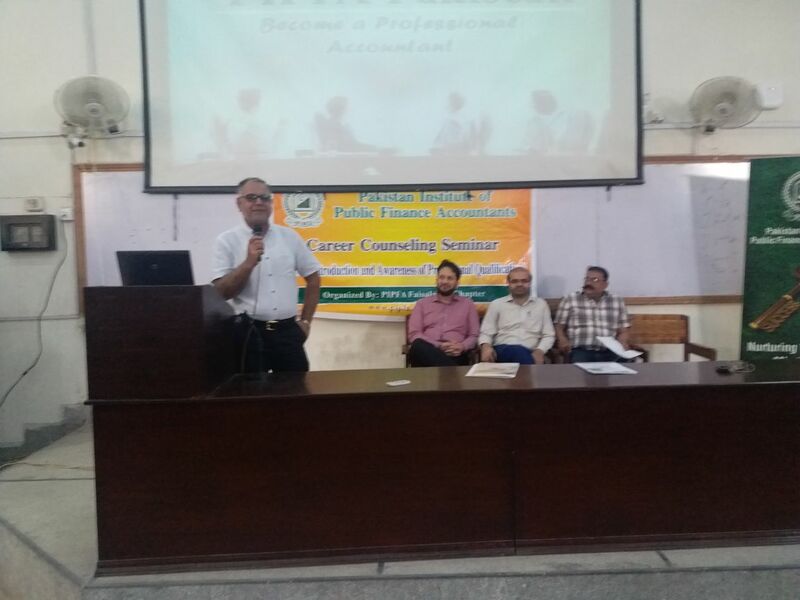 Mr. Abdus Salam and Mr. Ahmad Suleman (members FBC) delivered presentation on career counseling as well as PIPFA introduction and its education procedures and policies including following points: Education Scenario in Pakistan, Constituents of PIPFA, PIPFA Qualification, International & Local affiliation, Coaching/Exemption/ Examination policies of PIPFA, Job opportunities for PIPFA qualified and members, PIPFA Membership and its benefits. The participated students from M.com & MBA, they were approx. 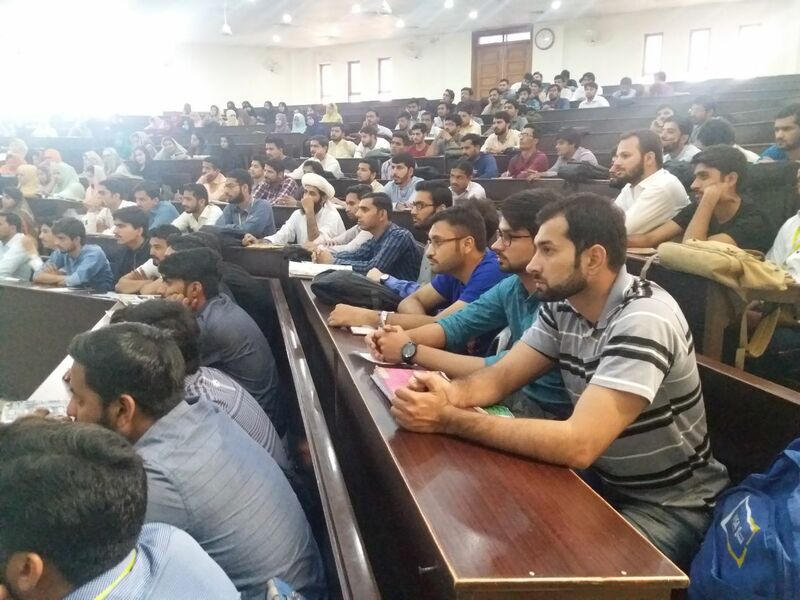 200, students enjoyed the knowledge providing session and found it fruitful in deciding their further future professional development. PIPFA Flyers were distributed among students for PIPFA Promotion .and collect data entry forms from students . 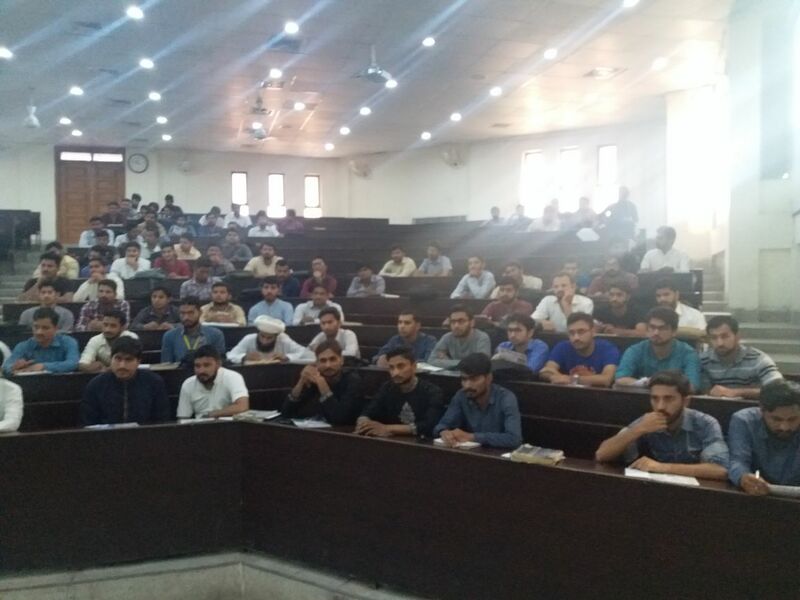 Further participants and IBMS (UAF) officials found PIPFA seminar a successful event.